This is another Vegie Smugglers recipe. I know I’ve been posting a lot of them lately but they are so great. If you are looking for some new ideas, go and check it out. I have bought both books and one of the lunchbox inspirations and unlike a lot of other cookbooks I have found myself cooking several recipes from them, unlike other books where I will cook one and that will be it. You can download free samples from the website as well if you want to “try before you buy”. I thought these muffins sounded great. 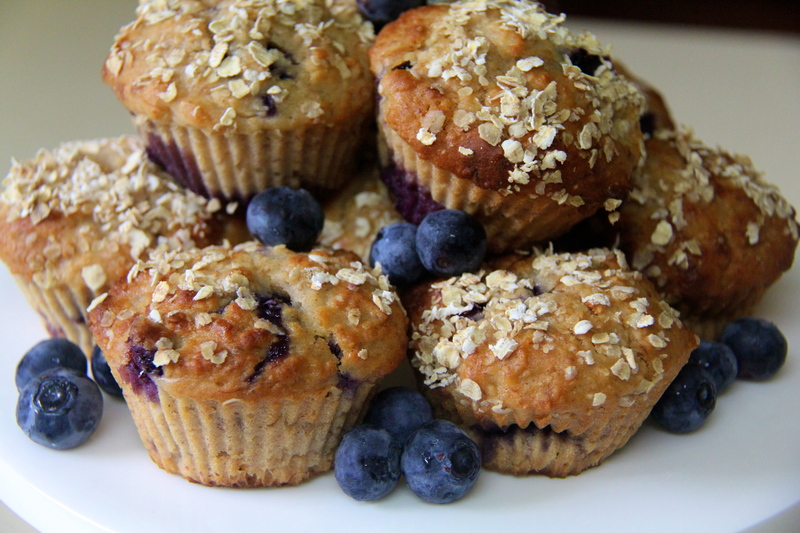 They would be perfect for a breakfast on the run or a healthy morning tea. Thomas is a pretty fussy eater. He doesn’t like vegetables – refuses to eat them. So I do do a lot of cooking where the vegetables are hidden. With our cooking together, we do talk about the ingredients that go in and this is a perfect recipe to show children that eating carrots doesn’t have to be an unpleasant experience. Thomas helped me grate the carrot and put it in the bowl and when it came time to eat the muffins, he didn’t even think about the carrots because they tasted so good. Preheat oven to 180°C. Grease/line a 12 hole muffin tray. Sift flour into a large bowl. Mix in the sugar, carrot and muesli. In another bowl, whisk together the oil, milk, egg and banana. Pour wet ingredients into dry and mix until just combined. Divide out into muffin tray. Bake for 25 minutes until golden and a skewer comes out clean. The recipe says it makes 12 but I made 24 mini muffins and 6 larger ones. The mini muffins I cooked for about 20 minutes. I have cooked this banana bread a couple of times now. It’s easy, works every time and it’s tasty. 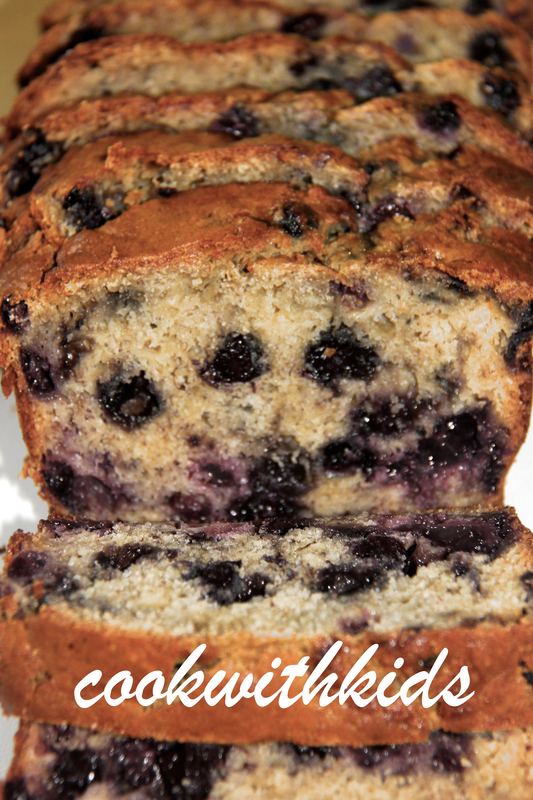 Thomas loves banana and blueberry bread. He goes on an outing with his Nana sometimes on a Saturday morning to a cafe and they have banana and blueberry bread and a milkshake. It’s a very special time for them. Thomas really enjoyed helping to recreate his special cafe food. Lots of measuring, pouring and mixing with this recipe and like muffins, there’s no electric mixers although it does take quite a while too cook and then cool before you can eat it so you need a little bit of patience. Preheat oven to 180°C. Brush a 20 x 10cm (base measurement) loaf pan with melted butter to lightly grease. Line the base and sides with non-stick baking paper. Sift the combined flour into a large bowl. Stir in the sugar. Combine the banana, milk, egg, butter and vanilla in a medium bowl. Add the banana mixture and blueberries to the flour mixture and stir until just combined. Spoon the mixture into the prepared pan and smooth the surface. Bake in oven, covering with foil if necessary to prevent overbrowning, for 50-55 minutes or until a skewer inserted into the centre comes out clean. Set aside in the pan for 5 minutes to cool before turning onto a wire rack to cool completely. 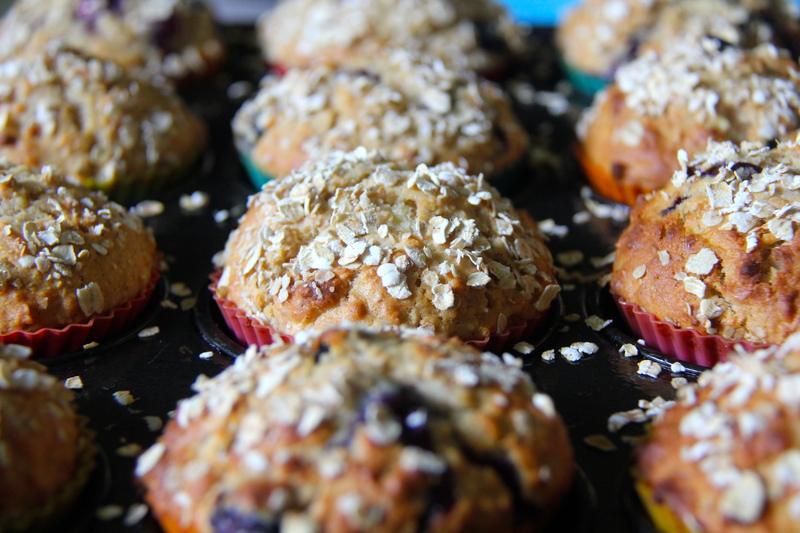 Delicious and nutritious… Sorry about the photo but all but these 4 muffins were devoured before I could take the pic! Cooking is a sensory experience. It involves all five senses in the one experience – sight, smell, touch, sound and most rewarding taste! Children look at ingredients and touch them as they add them to the bowl, they smell as foods are being prepared and cooked, listen as foods are cooking (boiling water, sizzling onions) and taste the final product. 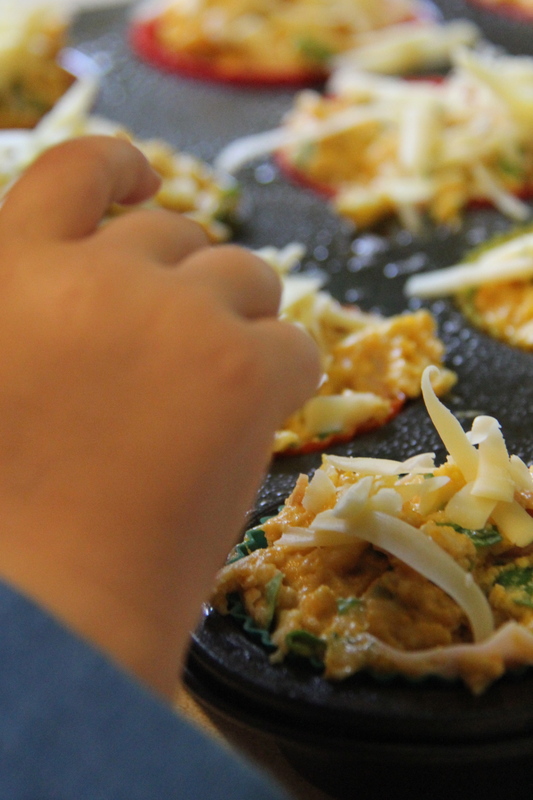 During your cooking with children, encourage the use of the senses. It can be easy to get caught up in the physical and mathematical aspects of cooking and forget the sensory ones. Ask your child questions about texture, encourage them to touch the individual ingredients – “does it feel soft or rough?”, encourage them to hypothesize about the taste “do you think this honey will taste sweet or sour?”, encourage them to smell the ingredients and look at the different colours, shapes and textures. From early in their lives, children learn about the environment and the world around them using their senses. Involving them in sensory play from an early age will assist brain development. As children get older, they are still in need of sensory experiences to continue to strengthen brain pathways and aid their learning. To read more about brain development and other sensory play ideas go to Childhood 101. 1. Preheat oven to 200°C. Grease 12 x 1/2 cup muffin tin. 2. Sift flour into a large bowl. Add cinnamon, wheat germ and brown sugar. Mix well. 3. Combine eggs, honey and butter in a jug. 4. 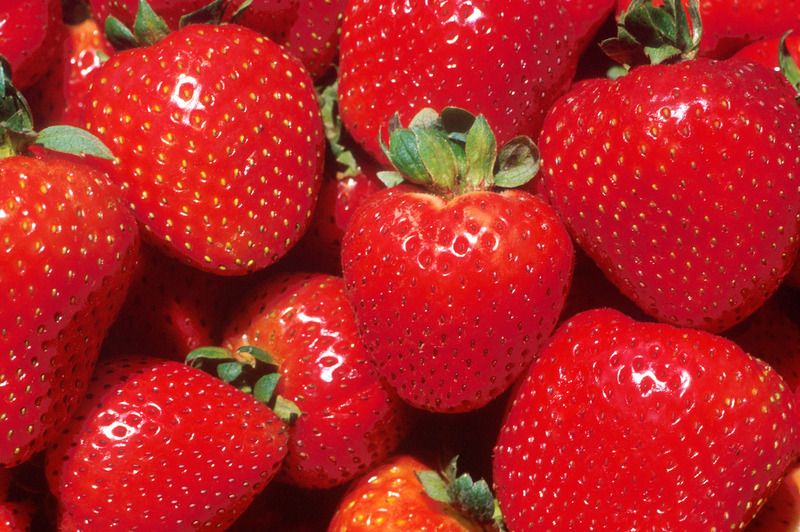 Add egg mixture, apple and strawberries to flour and mix to combine. Spoon mixture into muffin pans bake for 15-20 minutes or until golden. Cool in pan for 5 minutes then transfer to a wire rack to cool completely. 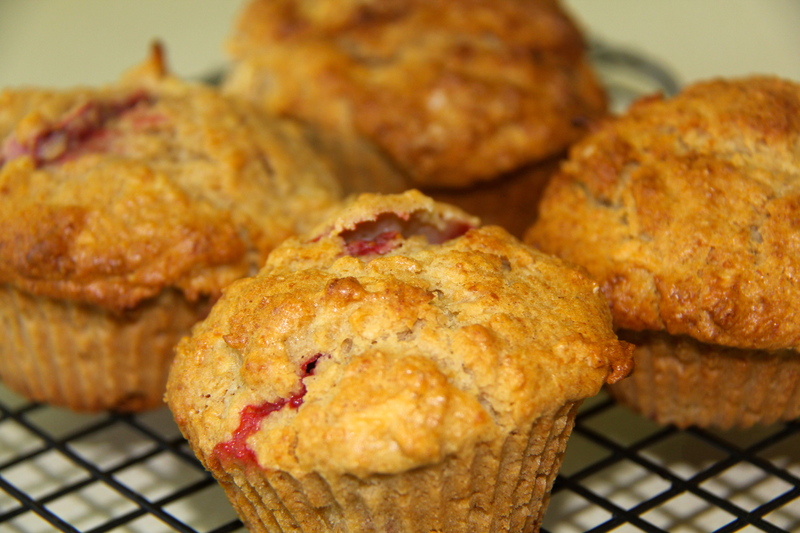 Muffins can be stored in an airtight container for up to 3 days or frozen for 3 months. 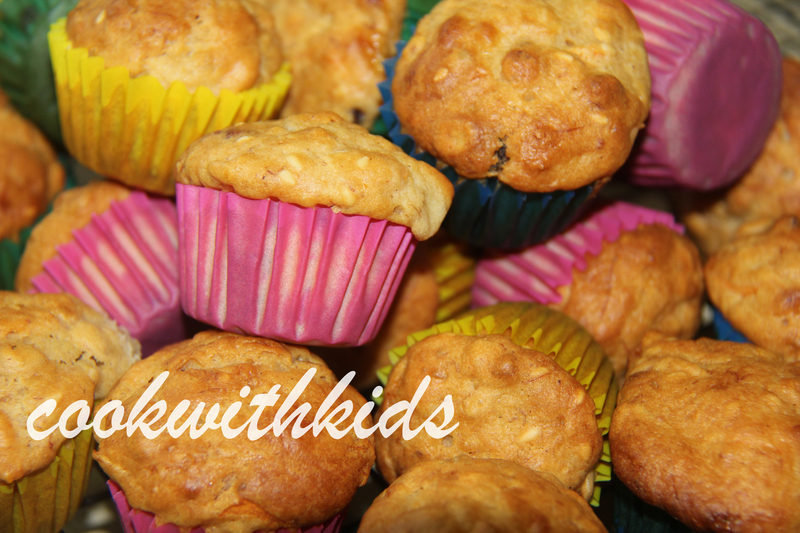 Thomas’ cousin was coming for morning tea this morning so we decided to make some yummy muffins. I think bananas and yoghurt are 2 of Thomas’ favourite foods (in the healthy category anyway!) so these muffins sounded perfect to me! This recipe came from my friend Claire :-), she found it on the taste.com.au website. Stand muffins in pan for 5 minutes. Turn onto a wire rack to cool completely. Serve warm or cold. Can be frozen and reheated. 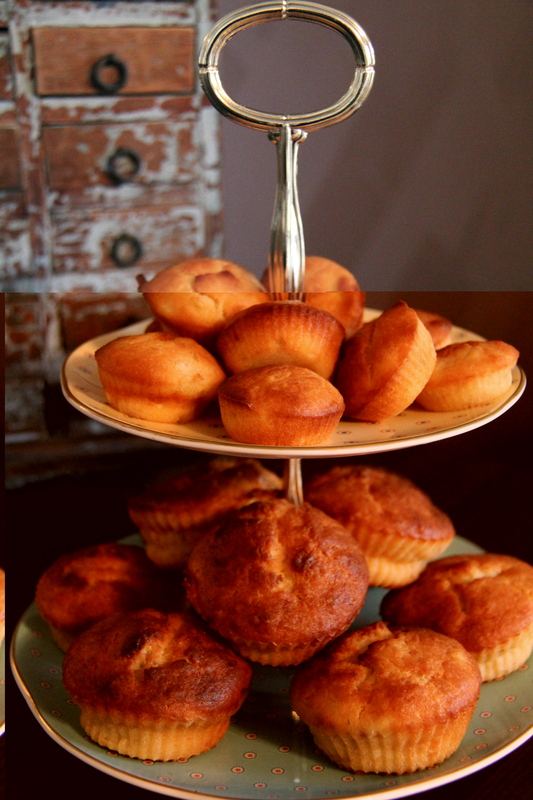 The recipe made 12 large muffins and there was some left over so I made 12 mini muffins also. Perfectly bite sized. I got a bit distracted and didn’t hear the timer so ours are a little ‘browner’ on the top but still taste delicious! 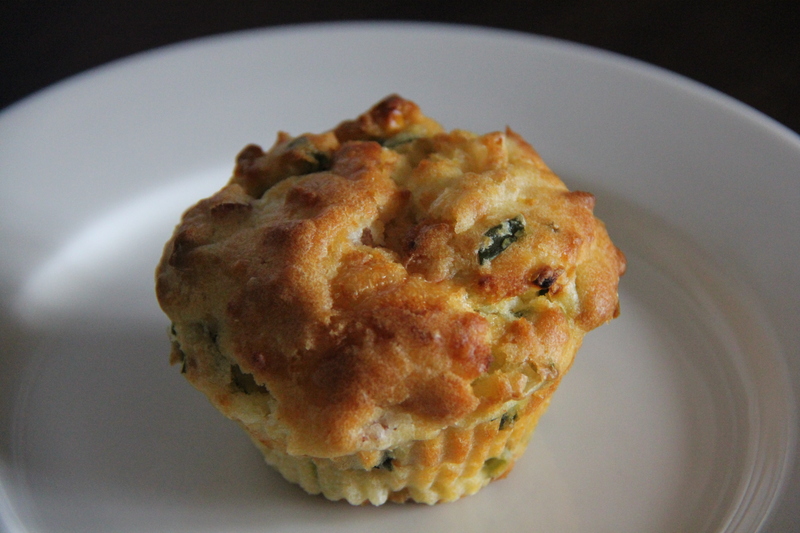 We went out for brunch recently and I had the yummiest spinach, bacon and corn muffin! It was absolutely derricious – served with warm butter… When I got home, I went on a mission to recreate this yummy masterpiece that I (by now) I had probably built up in my mind. I found this recipe for savoury muffins on the Western Star Butter website. It was just a basic recipe so I added my own twist to it. Combine flour, cheese, parsley, spinach, creamed corn, onion and bacon in a bowl. Add butter, milk and egg and stir with a large metal spoon until just combined. Spoon mixture into 12 1/3 cup muffin pans. Bake at 180C for 15-20 minutes or until golden and cooked. What I loved about this recipe is that Thomas and I were able to go out into our newly planted vegie patch and pick some baby spinach and parsley. He is learning so much from having just a few pots of herb and vegetable plants. It’s a wonderful way for children to learn about how food grows and how to take responsibility for living things. He also gets a great sense of pride and achievement when we are able to cook with what we have grown. A vegie garden doesn’t have to be huge or expensive. Just a few pots and a few plants is enough. Put them in an area that is accesible to children so they can observe their growth. 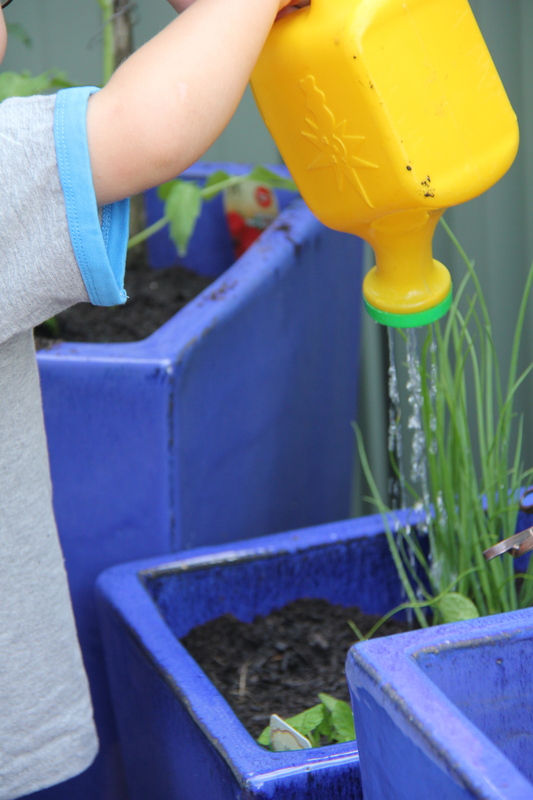 A great mathematics activity to do with preschoolers is to measure plants as they grow. Use a ruler and graph the measurements each day.